We are a non-profit organization dedicated to offering a variety of quality musical experiences for all ages, through concerts and educational programs; thereby expanding community participation and appreciation of musical excellence. We have a variety of shows throughout the year at the Brockville Arts Centre. Please visit their website here for further information. Brockville Theatre Guild. Address:. P.O. Box 474 Brockville K6V 5V6. From its humble beginnings 20 years ago at the local YMCA to its current locations in the heart of downtown Brockville and at the Brockville Arts Center; Thrill Dancers has provided recreational classes of the very highest quality every Saturday morning at the Brockville Arts Center for over a decade bringing the joy of dance to hundreds of children. 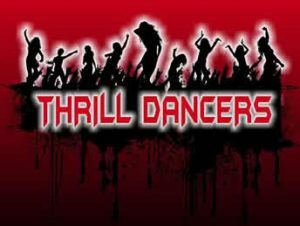 Under the new direction of Grace Villanueva, the Artistic Director, the Thrill Dancers has grown into an award winning studio, respected by the dance community for the quality of its tuition, and sought after by students as far away as Smiths Falls, Carleton Place and Ottawa. Year after year our competitive team completely outperforms most other dance schools in eastern Ontario and western Quebec. See our website for our results and video of the team at competition. Many of our current dancers and alumni now dance professionally (Danny Lawn SUTUCD Canada and the 2010 Nutcracker, Ottawa’s Centrepointe Theatre). BOLDT has their main studio located at 52 King Street East, downtown Brockville. In order the accommodate more classes this year, BOLDT is pleased to be able to utilize the fabulous Musitheatre facilities at the Brockville Arts Centre. With a focus on excellent technical training and enjoyment, BOLDT is dedicated to building strong character, and wellness of the mind, body and spirit through the vehicle of dance/performance. Visit their Website at http://www.boldtsite.ca, or feel free to email them at boldtdancer@hotmail.com for more information.